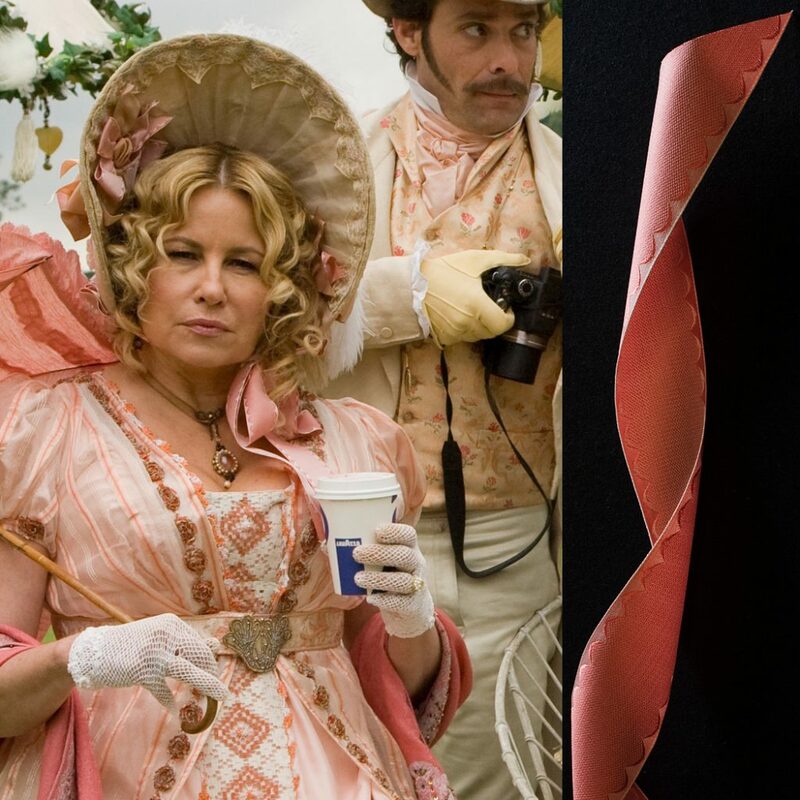 Delighted that our silk ribbons make an appearance in Austenland, a romantic comedy about 30-something, single Jane Hayes. Jane is a seemingly normal young woman with a secret: her obsession with Mr. Darcy (as played by Colin Firth in the 1995 BBC adaptation of Pride and Prejudice) is ruining her love life; no real man can compare. But when she decides to spend her life savings on a trip to an English resort catering to Austen-crazed women, Jane’s fantasies of meeting the perfect Regency-era gentleman suddenly become more real than she ever could have imagined. 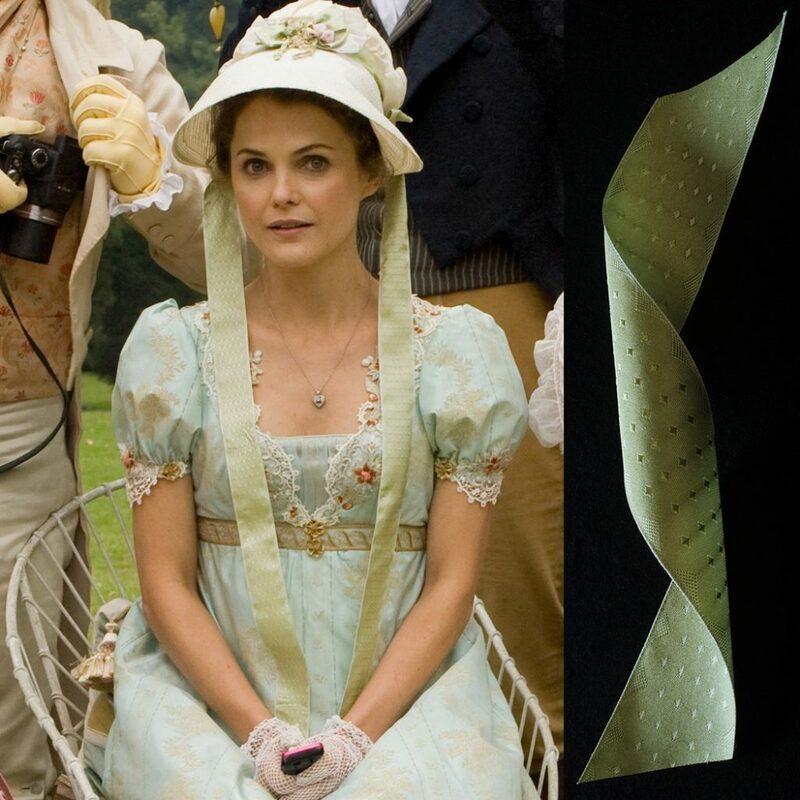 Papilionaceous silk ribbons are not a stranger to Pride and Prejudice productions including the 2005 film of Pride and Prejudice with Keira Knightley and the more recent Pride & Prejudice & Zombies!